Home » Tutorials » Ultimate Beginners Guide to Flying Drones, Start Flying Today! Looking for some serious help in learning how to fly a drone? Get $50 off Drone Pilot Ground School as a Dronethusiast reader, Drone Pilot Ground School Check It Out! An at-home drone ground school training course for sUAS pilots looking to pass the FAA Aeronautical Knowledge test and to become certified drone pilots. I personally know Alan over at UAVcoach.com and he is definitely a stand up guy and knows his stuff. He has put together an excellent course here so take advantage of it! With drone restrictions changing every few months, and federal rules and regulations becoming an increasingly unavoidable issue, anyone who’s just getting into the camera drone hobby is going to need an above-average pilot school. Learning how to fly a drone itself is one thing, but the last thing you want is to not know the exact fly zones or other protocol in your area and incur a fine or other legal trouble. 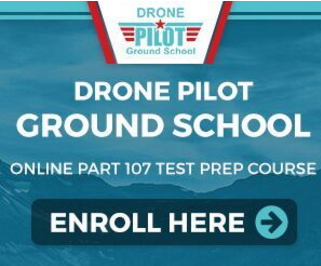 Drone Pilot Ground School is an excellent at-home training course for UAV pilots that want to pass the FAA Aeronautics Test and become certified in their area. This is a very solid and easy-to-understand guide not just to basic drone operations, but to understanding the role of weather and the rules of the National Airspace System. Drone laws and regulations, operating rules, and the remote pilot certificate and waivers are the first components of this coursework, and these topics are constantly updated to reflect the most recent information. An in-depth look at the ways in which weather affects all small aircraft and micrometeorology is also available, so you as the pilot can fully understand how the changing wind conditions can alter your flight. Another one of the most important subjects taught here is knowing FAA airspace classes: this is some of the real meat-and-potatoes information that will keep you alert and up-to-date on national and local standards regarding where you operate. Airport operations, radio communication procedures, as well as loading and performance are all looked at in-depth as you glean over Drone Pilot School material, which also goes over emergency operations preparedness. After this course, you will be able to deal with payload and gimbals, have vast knowledge of official regulations, and even touch on expert-level topics such as Physiology. 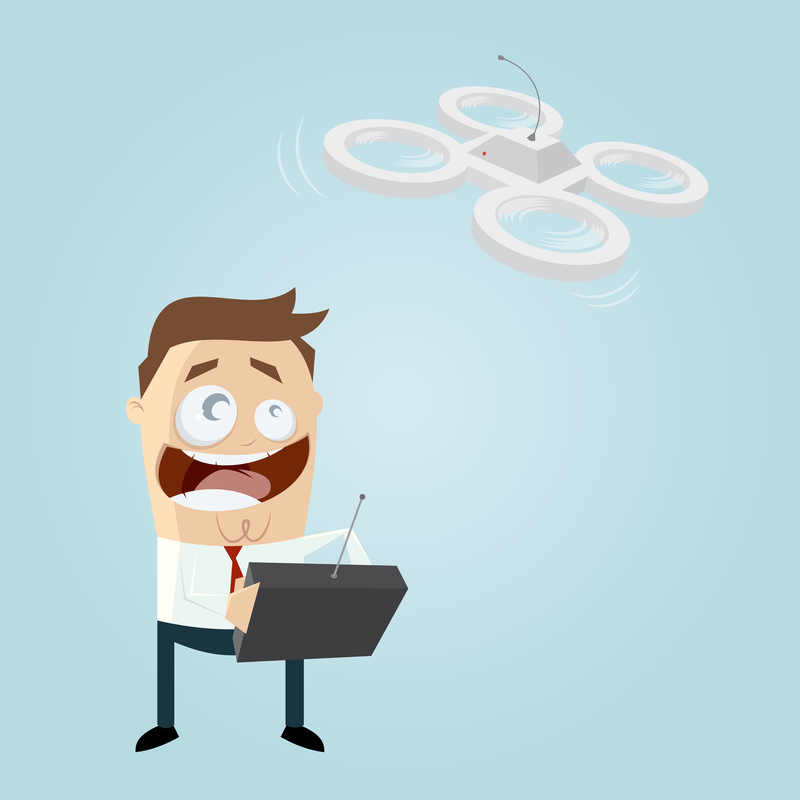 Following in this article is some information about learning how to fly a drone for those of you out there that are not needing professional certifications. It can be fun to just take the drone out to a park or open space, and enjoy the hobby of flying, and some don’t feel a need to bypass the beginner drone level. We’ll take a look at the best quadcopters to purchase for beginners, the basics of maneuvering around in the air, and the different flight modes you’ll encounter on your brand new drone. There are probably more newbies out there anxiously looking for guidance, tips and actionable hints to help them enjoy this amazing hobby safely than ever before in history. That is due to the fact that last Christmas was the first year when one of top stocking stuffing choices was drones. It makes sense after all, you have bought the new iPhone last year, the new iPad the year before, you ran out of ideas and your beloved spouse is a technophile. You can not go back to a scarf or socks and the media is blasting drones, drones, drones. Of course you will buy a multicopter. And that is a good choice as long as the on receiving it handles it in a safe and liable manner. Want to learn about the best drones to buy? Check out our drone buying guide. So I feel that instead of mocking newbies (or “noobs” as some like to call them), we should help them as much as we can. After all we must also remember the first day we handled a transmitter and flew for the first time. We have not been confident at all and had to make mistakes in order to learn how to fly a drone. Anyone denying that is lying. Probably to himself also. Nobody is born with an inherent knowledge of flying copters. I was extremely surprised by the mockery in the comments to the video of a poor newbie that we posted the other day who almost sent his Phantom 2 into the pond on the first day he flew it (the battery depleted). These more experienced RC “pros” laughed at him, called him names and clearly had no sympathy for him. I totally feel that this is wrong. If you have done RC flying for 10-15 years, chances are that the next generation will be much better at using this technology than you. So instead of being boastful, I feel that we should help newbies to gain enough confidence and experience to fly safe enough to enjoy the hobby and learn how to fly a drone. After all it is in our interest also because that way they pause less risk to the hobby getting banned entirely and if they are happy drone pilots, they will inspire others to fly as well. New to Quadcopters, Where to Begin? This guide is intended to help quadcopter beginners get started and learn how to fly quadcopters and other multirotors. Multicopter flying is fun and it’s a relatively new and emerging hobby. There isn’t much information for people when they start out, so very often they just pick up the radio controller and start to fly around without knowing anything. It’s important to know that quadcopters are pretty powerful machines with fast rotating propellers, you can easily break or damage what it crashes into. To minimize the risk it’s important that you follow the rules, and avoid flying over or near people and property, or any restricted area without permission. It’s always a good idea to get a cheap, robust “ready to fly” mini quad to start with while you’re learning how to fly a drone. It’s also a good choice for presents and gifts for someone who wants to get into this hobby. They are usually under $50, so it’s easier to deal with if you crash, than having a $500 quad. Also they are a lot smaller and lighter, it causes a lot less damage to people or objects. Makes the quad ascend (climb) or descend (come down). Rotates the quadcopter clockwise or counter-clockwise. Tilts the quadcopter left or right. Tilts the quadcopter forward or backward. Each flight mode is designed for different flying purposes, and might use different sensors and electronics modules. For example for the self-level mode, it uses the Gyro sensor and accelerometer, and the copter will always try to balance itself when you are hovering. But manual mode only uses Gyro, and the copter doesn’t level itself. Once you tilt it, it just keeps going that direction until you manually correct the angle, thus the name “manual mode”. Self-level mode is good but it’s not perfect, you will still find the quadcopter drifting around. Also it tends to wobble and vibrate a bit because of the the fact that it’s constantly trying to balance itself. This is why many FPV’ers including myself prefer to fly in rate mod – the result is a lot more smoother, and it becomes fairly easy to control too once you get used to it. However I still recommend that beginners try self-level mode first, to build up experience and confidence. Manual mode can be very hard to control for someone just beginning to fly. Most cheap nano quads come with self-level mode, some even have the optional rate mode available. When picking out a starting drone, you’ll want to look mostly at durability, ease-of-use, and price. Durability is important because first-time users always have a few crashes, and you don’t want to trash your new toy when you’re first getting started. Ease-of-use is obvious – a high-end drone like the Phantom 4 might have a ton of great features, but to a beginner those are just complications you don’t really want to deal with. And in case something does go wrong, you want to start with a fairly cheap drone that won’t set you back thousands of dollars. 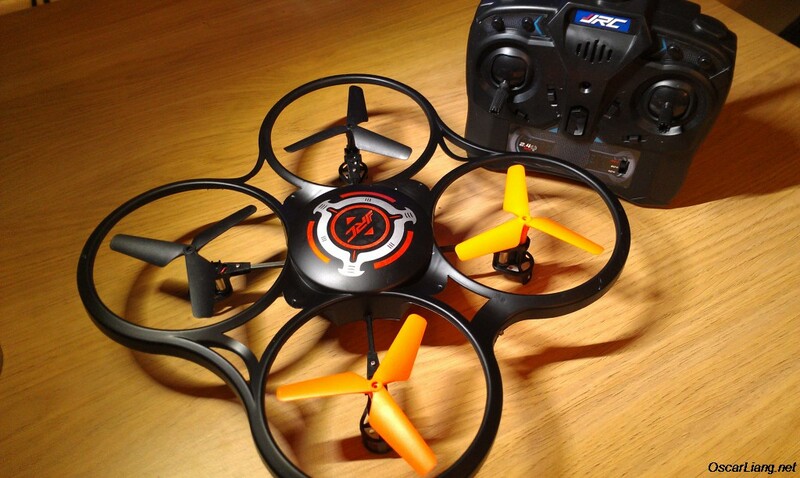 Our personal recommendation is the Altair Aerial AA108, which we did a full review of here. Short version: the AA108 is a phenomenal choice for people who want to learn how to fly a drone because it’s extremely tough, has a lot of beginner-focused features that make it really easy to fly, and only costs $130. It’s an all-around good choice that gets more difficult as you get more capable thanks to multiple speed modes and flight patterns. Fair warning, though – it doesn’t do well in wind, so you might want to avoid it if you live in someplace with a lot of inclement weather. You can read reviews and shop for the AA108 here. If you want to fly drones specifically because you’re interested in aerial photography or videography, the 818 Hornet is the best choice for you. This excellent beginner drone is much more stable than the AA108 thanks to its heavier build and shape, so it takes better pictures. It also gets 15 minutes of flight time off of a single battery (two of which come right out of the box), making it much better for longer video and photo shoots. That amount of flight time is all but unheard of for under $200, making this the undisputed best choice for pilots who need a beginner drone but want to start taking serious pictures. You can read reviews and shop for the Hornet here. Here we begin talking about how to fly a drone. First, here are some safety rules. Pick a nice day with no wind. Go to a large open field with no obstacles such as buildings or power lines around. Keep distractions at a minimum, and switch off your phone. Make sure you don’t fly near people or properties. Now it’s time to practice your skills. Take off and climb a couple of meters, hovering, then fly from one point to another and land the drone. Take it slowly as you do this exercise. Before I understood how important this is, I flew my 450 size tricopter in a gusty wind (it must have been 25mph – 30mph) and it didn’t end too well. It was totally impossible to control, and eventually it was pushed away by the wind and crashed pretty badly. So you need to know the limits of wind speed your quadcopter can handle and don’t risk flying it in powerful wind. When you are flying forward fast, and you are about to crash intro a tree, what would you do? If you can escape by turning left or right, a wise option would be to turn off your throttle. 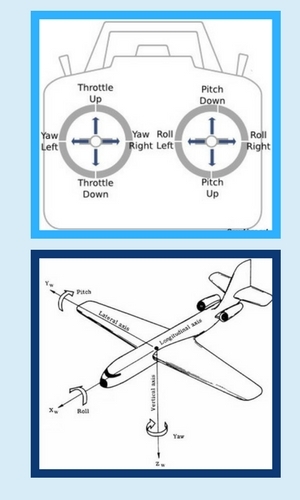 By stopping the throttle, you also stop the fast rotating propellers. This reduces the chance of breaking your props, motors and further damages to your quadcopter. Some nano quads come with prop guards which are also good features to consider. Unfortunately, crashes are inevitable even for expert pilots. The best you can do is to learn how to minimize the breakage. I hope this short article gave you a basic understanding of how to fly a drone. There is indeed too much information to cover in just one article so do check out our other pages as well. Have fun and fly safely. 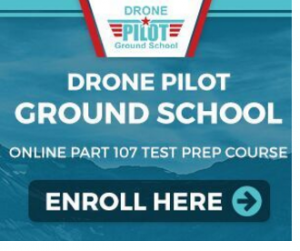 We recommend Drone Pilot Ground School Check It Out! An at-home drone ground school training course for sUAS pilots looking to pass the FAA Aeronautical Knowledge test and to become certified drone pilots. This guide is intended to help quadcopter beginners get started and learn to fly drones and other multirotors. i need the contact information for uavcoach. Hi Steven, you should be able to reach Alan at uavcoach.com via their facebook page or their contact form. Brilliant article Oscar Liang! Good onya for encouraging support to noobs. Everyone’s gotta start from somewhere and the so-called experienced people need to be kind instead of be cocky to newbies. When you take off your drone resist the urge to immediately launch your drone straight up super fast. I know I did. Research has shown that doing that scares nearby animals much more than gradually moving up while moving horizontally. Swooping down and skyrocketing up are not good. orderofthehippogriff.wordpress.com has more information on drone-animal relationships. Dylan, please email me at mike@dronethusiast.com, I’m interested in talking to you more about your organization. One question I had though is if you think it is best to learn to fly FPV in a self leveling mode and then to progress to rate mode or if you think you should jump straight in? Also, do you think it is worth practising with a simul;ator and does it translate to real world flying? I have learned loads about 3d flying with helis.using simulators. I use a great planes which uses a real radio wired to computer via sub. I personally fond sims a great learning and keeping fresh tool. Losing control of the drone due to windspeeds, this tracker helps in monitoring its exact location so I could adjust and catch up with the fly-away drone! Great tips for beginner drone users. I’m still practicing how to better manage my flight to capture the best aerial views. Is it recommended to have a GPS tracker for your drone? Thank you for the great list of drone trackers, I definitely need one and got my eyes on Trackimo. I read it’s a 3G one and fairly have a good review. I’m also a beginner at flying drones. My friend recommended Trackimo and I did use it. So far, I’m quite impressed with its tracking capabilities. I’d be definitely giving two thumbs up for it. I’m not sure if you’ve heard about this one, it’s reliable for me. This device runs on 3G GPS signal, the Trackimo. It’s small and portable, mountable on my drone. Thanks for the advice. I’ve tried reading reviews about the product and it seems dependable. Gotta try it soon. Great suggestion! I really need one since I’m still learning to my fly my very first drone. Hmm it’s not that affordable though but I think it’s worth the try. Not to mention it has good reviews. Now that it’s mentioned, I did mount the Trackimo on my drone, and right when it flew away from reach, I was able to track it on the map on the tracking device’s app! Had been planning to get one since I lost my first drone but thankfully was found. Thanks for the list by the way. Why not mount a tracking device on the new one so you can monitor it? Great article oscar! This really helped me a lot with the differences in flying quadrocopter. Anyway have you tried using a tracking device with your drone? Thanks for the tips! I’m a beginner in flying drones and this helped me a lot. Great article you have here. This would be very useful for new drone users like me. Thanks a lot! Thanks for the list of drones! I’m planning to have my very first drone so do you suggest attaching a tracker to it? Yes Dylan. I’ve been using the one they suggested here. It’s better safe than sorry. Amazing guidelines you have here! Also, the trackers you suggested are quite impressive especially Trackimo. This seems reliable enough for my drone. Thank you for the list of affordable drones. There are a lot of choices to choose from. I flew my quadcopter around 20mph windspeed so I was having difficulties in controlling it. But with the help of the GPS tracker I used, I was able to follow the drone’s location and safely landed it. Great tips you have here. Flying a drone really needs practice and a well-thought plan. Thanks for this guide, I’ll make sure to have my husband read this. He got a second drone just in 2 weeks cause the first one crashed after few minutes of using it. Oh, I’m sorry to hear that.. I think it would be best to mount a tracking device to it for close monitoring since drones tend to flyaway sometimes and end up crashing. Do you have recommended accessories that are needed for newbie drone pilots? Are GPS trackers a must? Hey, that’s what i’ve been using since last year. For me, It depends on you if you want to use one but if you really want your drone to be safe, GPS tracker is a must. Your article was helpful, many thanks to ya. Please can I have your personal facebook page or instagram handle. I hope to start flying my phantom soon. This was super helpful especially the video!